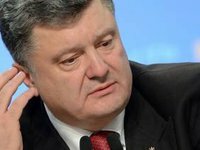 President of Ukraine Petro Poroshenko believes that after receiving a visa-free regime, Ukraine finally departs from Russia and returns home to Europe. "I would say that today Ukraine has finally drawn up its divorce with the Russian Empire and that's the way we should philosophically perceive it," he said in an interview with 1 plus 1 TV channel on Thursday night. According to him, from now on three freedoms will operate - freedom of movement of goods, capitals and people. "It's not just about visa-free border crossing, it's about returning Ukraine to a historical place in the European family of nations," the president said. He said that there were obstacles inside the country and even some Euro-optimists had publicly appealed to the leadership of the European Commission and the European Union with an appeal not to grant a visa-free regime to Ukraine. Also, according to Poroshenko, there were external obstacles, in particular, attempts to mobilize anti-European forces within the EU in order to prevent Ukraine from obtaining visa-free regime.